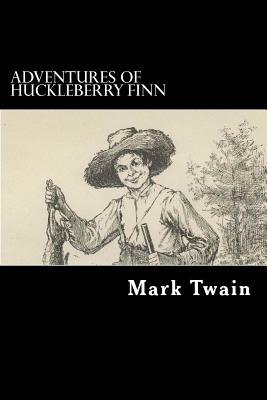 Huckleberry "Huck" Finn is a fictional character created by Mark Twain, who first appeared in the book The Adventures of Tom Sawyer and is the protagonist and narrator of this sequel, Adventures of Huckleberry Finn. He is 12 or 13 years old during the former and a year older at the time of the latter. Huck also narrates Tom Sawyer Abroad and Tom Sawyer, Detective, two shorter sequels to the first two books. Samuel Langhorne Clemens (November 30, 1835 ? April 21, 1910), better known by his pen name Mark Twain, was an American author and humorist. He is most noted for his novels, The Adventures of Tom Sawyer (1876), and its sequel, Adventures of Huckleberry Finn (1885), the latter often called "the Great American Novel." Twain grew up in Hannibal, Missouri, which would later provide the setting for Huckleberry Finn and Tom Sawyer.